Anyway, these events got me thinking about why storytelling is so powerful – and how it can be used in B2B sales. Did I just make my point? In an era of unrelenting jargon – that seems to change weekly – being able to tell your customers a simple and relevant story is more important than ever. If you can bring your value proposition to life in a way that captures the imagination of your customer, you’ve just gained a valuable edge over the competition. 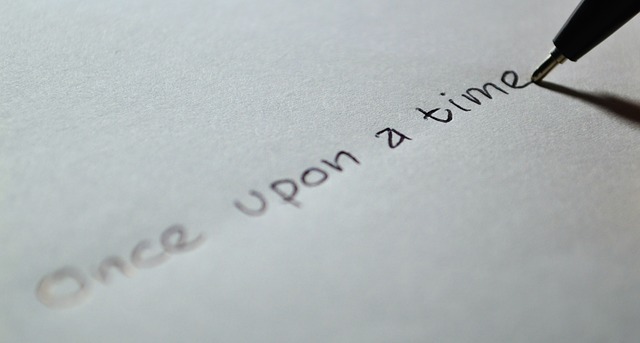 Why Is Storytelling So Powerful in Sales? At Boardroom Insiders, I spend my days talking to customers – who are primarily technology sales and marketing leaders – about why they should be focused on engaging C-level customers. Once upon a time, Salesforce CEO Marc Benioff had a vision. He believed he could grow his company faster if he could only get his sales team to sell directly to CEOs. One day he got the chance to hire “the best sales executive in enterprise software history.” His name was Keith Block. Benioff shared his vision with Block and told him to make it happen. Block set to work and, before too long, Benioff and Block were flying all over the world – meeting with CEOs and helping their sales teams close eight- and nine-figure deals. The company’s sales soared. Analysts and investors fawned over their success and demanded to know their secret. Benioff and Block said it was simple: they were selling directly to CEOs. You can read a lot more about this particular story in a recent post. I share it as an example because – whether it is on our blog, shared informally with a customer, or presented as part of a formal speaking engagement – this story never fails to capture our customers’ attention and generate a lot of questions. In other words, it engages our audience probably more than any other story we tell. It also helps us in that it provides an incontrovertible proof point for doing exactly what we preach at Boardroom Insiders. And, by the way, Salesforce is a Boardroom Insiders customer, which helps make a strong case for partnering with our company. Notice, in this particular story, we spend zero time talking about ourselves; the customer is the hero, not Boardroom Insiders. Effective B2B sales stories should put the customer at the center, says Cathy Salit, the CEO of Performance of a Lifetime. The vendor’s role, she says, is to be the supporting character who is there to help the hero/client achieve his or her goal. So far, we have been talking about pretty high-level stories that bring a general value proposition to life, but there are also opportunities to craft more customized stories that tie directly to a particular customer’s world – their role, their objectives, and even their pain points. For example, Bill Rhodes, chairman, president, and CEO of AutoZone, said on a recent earnings call, “We understand we have to be able to share information and process seamlessly between our stores, commercial shops, phone, and online experiences in order to meet all of our customers’ needs. We realize, as customers have become much more tech and mobile savvy, we have to have a sales proposition that touches all the ways they desire to interact with us. Our current and future technology investments will lead to sales growth across all of our businesses. The focus is on making sure AutoZoners can see inventory availability across the entire organization – not just their store – swiftly and accurately.” Rhodes even went on to detail the company’s inventory availability initiatives. How could you build a story for Rhodes that has a more relatable human focus – and then support it with data? Have you worked with other customers who needed to accomplish something similar around customer data and/or inventory management? Can you draw from your experiences with these customers to craft a story with a real human hero who had similar challenges to overcome? If you do this correctly, your customers will be leaning forward, eager to hear more. You’ll have found a relevant and non-self-serving way to educate them about what your company does. You’ll have given them an idea about how another company solved a problem they have; you can bet they will give it some thought – and, while they are thinking about it, you and your company will also be top of mind. Which is why “tell them a story” should be a mantra for salespeople and marketers. 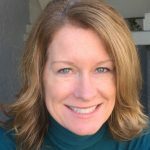 Sharon Gillenwater is the founder and editor-in-chief of Boardroom Insiders, the only business intelligence tool designed exclusively for C-suite sales, marketing, and recruiters who need to reach, engage, and build relationships with C-level executives. Gillenwater is a long-time marketing consultant with expertise in marketing strategy, account-based marketing, and CXO engagement programs.